COMMONWEALTH OF THE NORTHERN MARIANA ISLAND (7 March 2016) The Western Pacific Regional Fishery Management Council today in Saipan responded to the request by Victor Hocog, Acting Governor of the Commonwealth of the Northern Mariana Islands (CNMI), for assistance to address sea turtle regulations impacting the people of the commonwealth. The National Marine Fisheries Service (NMFS) recently divided the world’s green sea turtles into distinct population segments (DPSs) and moved the Endangered Species Act (ESA) listing of green sea turtles found in the CNMI and Guam from a threatened to an endangered status. 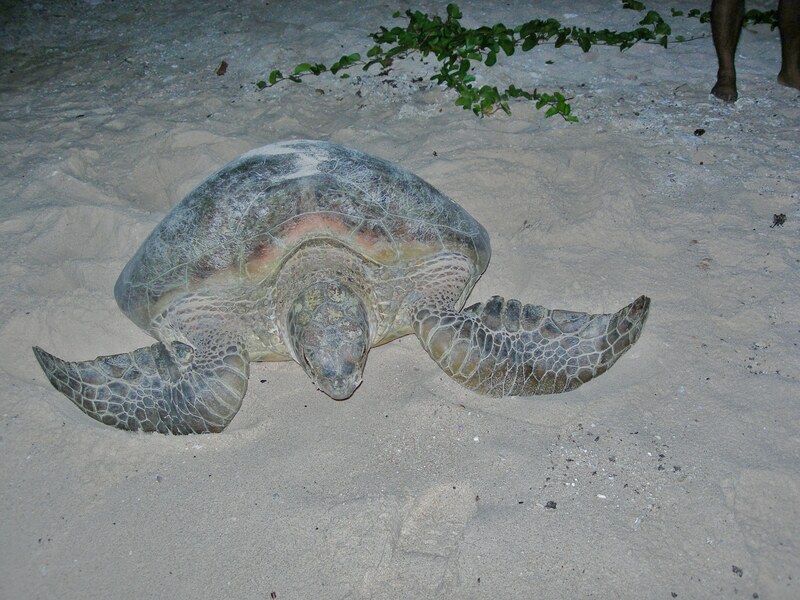 Green sea turtles are traditional food for indigenous communities throughout the Pacific. The new listing impedes aspirations for a cultural take. The Council today said it will undertake efforts to work with NMFS, the US Fish and Wildlife Service (FWS) and State and Territorial governments in the recovery planning process for the newly designated DPSs in the region. Green sea turtles in American Samoa were also moved from threatened to endangered, while the Hawaii green sea turtle remained listed as threatened despite indications that the species may be recovered. The Council will ask NMFS and FWS to work with Guam and CNMI governments to determine the nesting origin of the foraging green turtle populations in the Mariana Archipelago. The Council noted that the DPS determination focused on the nesting populations and the Status Review Report did not identify the source populations for the foraging juvenile turtles around Guam and CNMI. NMFS and FWS are both members of the Council, and NMFS is the Council’s primary science services provider. 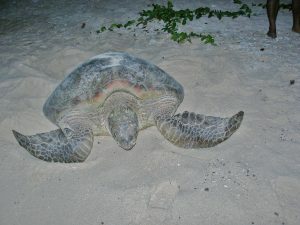 The Council also noted that the green turtle population in the Mariana Archipelago was moved up to an endangered status despite a Recovery Plan for the Pacific green turtle population being in place since 1998, which suggests that the previous Recovery Plan was not effective for the region. It recommended that NMFS and FWS conduct robust scientific research to evaluate threats to the population identified in the final rule, such as impacts of sea level rise, so that such information can be considered in future five-year status reviews of the population. The Council further recommended continuation of the long-term nesting activity monitoring at French Frigate Shoals in the Northwestern Hawaiian Islands as part of the evaluation to determine impacts of climate change on the population. Besides sea turtles, Acting Gov. Hocog asked the Council for assistance with shark predation, which is hampering the efforts of CNMI fishermen. The Council will ask NMFS to conduct biological and ecological research of shark species of concern to facilitate sound decision making regarding ESA listing and related actions. The Council noted that focus on the oceanic white-tip shark is warranted due to known declines in population and bycatch in fisheries. The Council will work with appropriate partners to prioritize shark and other species of concern in terms of fisheries management in the Western Pacific Region. The Council will continue its deliberations 8:30 to 5 p.m. Thursday and Friday in the Micronesian Ballroom, Guam Hilton, Tumon Bay, Guam. The Honorable Eddie Calvo, Governor of Guam, will provide welcoming remarks on Thursday at 10 a.m. The public is invited to participate in the meeting as well as Fishers Forums to held 6 to 9 p.m. at the Hilton Guam. The Fishers Forum will focus on mapping fishery resources. For more information including complete agendas, go to www.wpcouncil.org or email info.wpcouncil@noaa.gov. Recommendations by the Council that are regulatory in nature are transmitted to the Secretary of Commerce for final approval. The Council was established by Congress under the Magnuson- Stevens Fishery Conservation and Management Act in 1976 to manage domestic fisheries operating seaward of State waters around Hawaii, American Samoa, Guam, the CNMI and the US Pacific Island Remote Island Areas. (American Samoa); McGrew Rice, commercial and charter fisherman (Hawaii) (vice chair); and William Sword, recreational fisherman (American Samoa) (vice chair). Designated state officials: Suzanne Case, Hawai`i Department of Land and Natural Resources; Dr. Ruth Matagi-Tofiga, American Samoa Department of Marine and Wildlife Resources; Richard Seman, CNMI Department of Lands and Natural Resources; and Matt Sablan, Guam Department of Agriculture. Designated federal officials: Matthew Brown, USFWS Pacific Islands Refuges and Monuments Office; Michael Brakke, US Department of State; RADM Vincent B. Atkins, US Coast Guard 14th District; and Michael Tosatto, NMFS Pacific Islands Regional Office.